The Internet has proclaimed that in 2016, the "Instagram Brow" trend will be a thing of the past. Though I could appreciate the artistry of the brow 'on fleek' (I am a long-time fan of RuPaul's Drag Race, after all..) it was never a trend I picked up. It did, however, clue me in to the importance of the eyebrow - something I pretty much ignored up until that point. Sure, I tweezed my husband's unibrow from time to time, but I pretty much left mine alone. Seeing all the different styles and shapes of brows has given me an appreciation for the way they can frame the face, and even how they work with my eyeglasses. I have two kits to show you today from Billion Dollar Brows - and I think that with these, you can create any kind of brow you want. 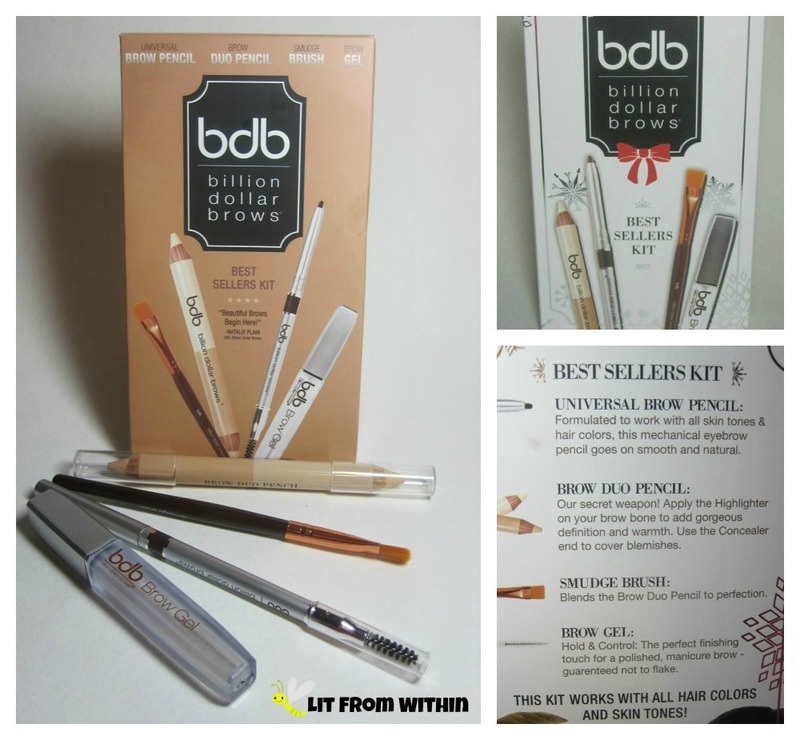 The Billion Dollar Brows Best Sellers Kit has four tools to help you beat your brows. 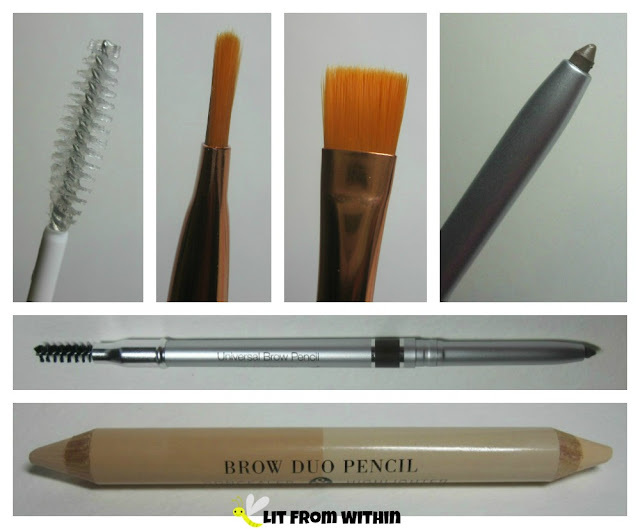 There is a duo highlighter/concealer pencil, a smudge brush, a universal brow pencil, and clear brow gel. The kit says it works with all hair colors and skin tones - it all worked for my medium/light skin, but Your Mileage May Vary. The Brow Duo pencil is very soft and creamy. 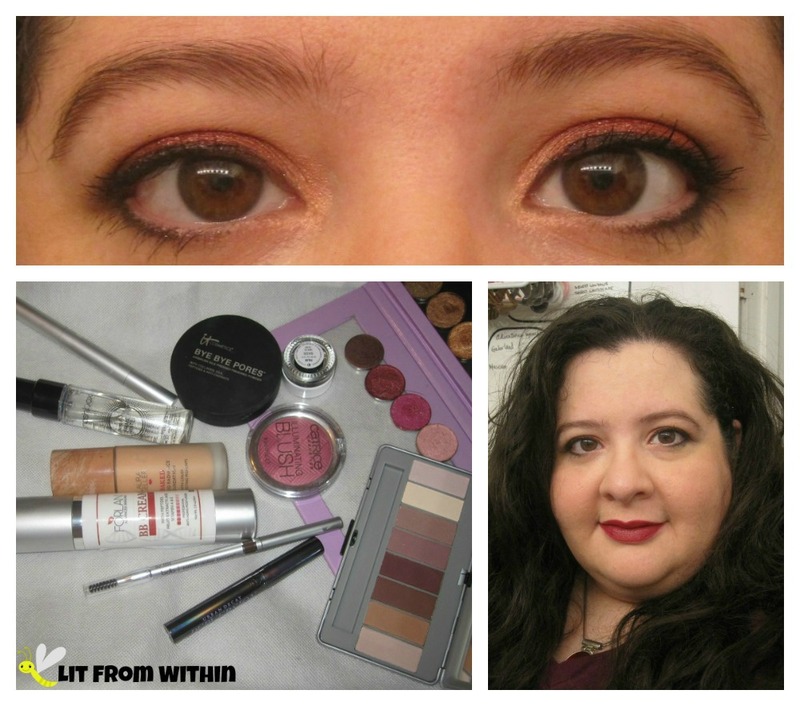 The highlight worked for me both above and below the the arch of the brow, depending on what kind of look I was going for. I also used the concealer along the brow bone to help even out my skin tone. 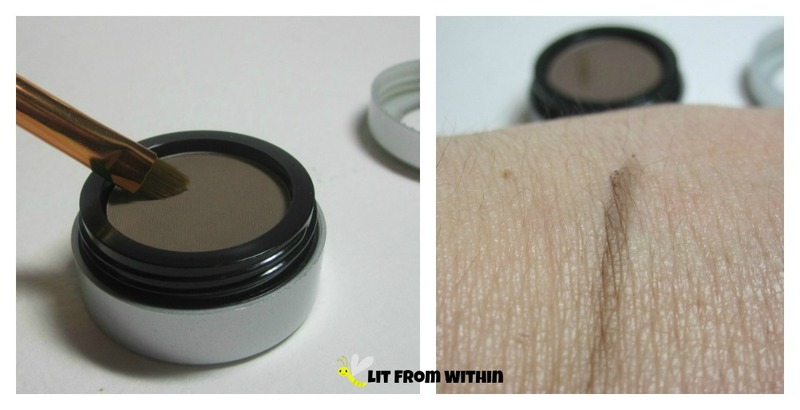 It would be good for those with discoloration or veins on their lids. The smudge brush is designed to work with the pencil - it has a thin, flat head with a defined edge to help you get right next to the brow and give that tail a defined look. The brow gel is clear, and is good for either setting a product, or just using it on its own to tame an unruly and full brow. I prefer clear to tinted brow gels because even if I make a mess, I'm not getting tint all over my skin. My favorite part of this kit, though, is the Universal Brow Pencil. It's my go-to pencil now! The color isn't as red as some I've used previously, and the texture is creamy, creamy, creamy. It's like a gel eyeliner to me. Very nice for filling in, though I'm not sure how precise it would be for those who like to draw in little hairs. I need a spoolie on the end of my brow pencils, so I'm really glad this comes with one. I watched a demo the other day on getting a higher arch that recommended using a spoolie to brush the front part of the brow up and the arch and tail hairs down, toward the eye. 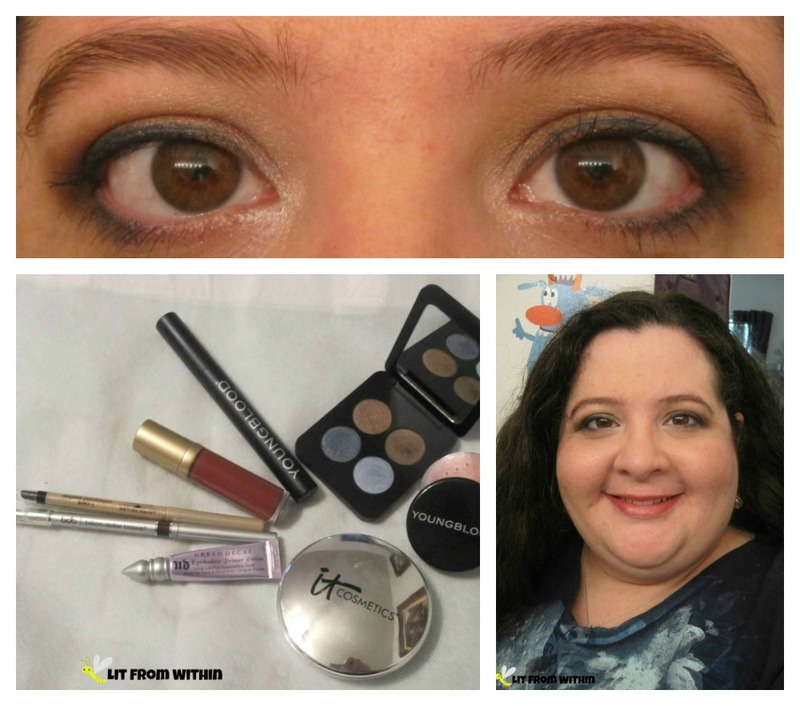 Then, fill in the brow, and use the spoolie to brush everything into place. Have you tried this? Swatches from this kit: The Duo Pencil highlighter and concealer, and the Universal Brow Pencil. There really is a swatch of the gel there next to that.. but it's kinda like asking you to look at Wonder Woman's Invisible Jet, isn't it. Trust me, it's there. If you're not a pencil kind of person, you might prefer the 60 Seconds to Beautiful Brows kit! 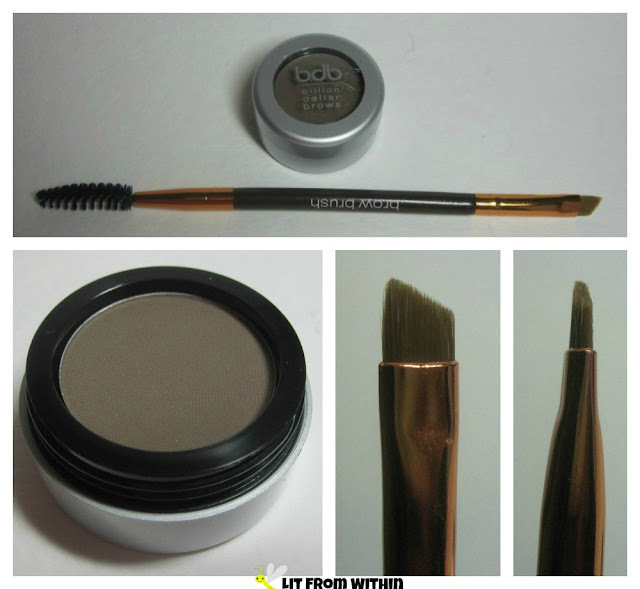 It comes with Taupe Brow Powder and a dual-ended brow brush. The powder looks like an eyeshadow, but it feels heavier, like it's infused with wax or glycerin - something that has HOLD, you know? Not tacky or sticky, but like it has weight or substance to it. I feel like it really sticks to my skin and my brow hairs. To me, this does live up to its name! I can use the spoolie to brush my hairs out of the way, and use the brush to get the perfect amount of product - a light dab'll do ya - and fill in my brows. Once I brush them back into place, I don't feel like I need anything else to set or define them. 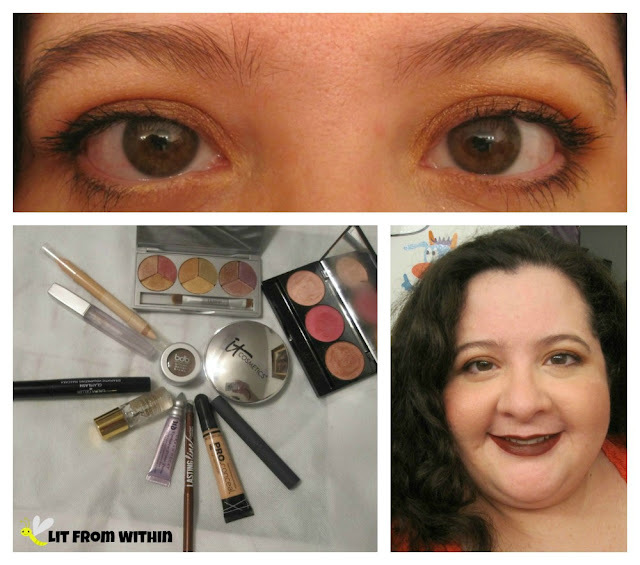 I have a few looks I've created while testing out these kits, and I wanted to show you a close up of my eyes, along with a face shot for context. 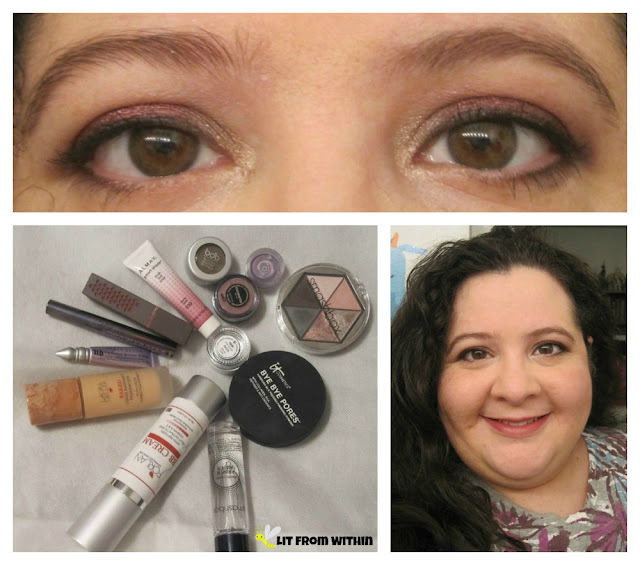 You can also see all the products I used to create the look. I personally prefer a natural brow on myself, and accept that they will always be sisters, not twins! What I used: (not pictured - Burt's Bees lipstick in Brimming Berry), UD Eyeshadow Primer, Zero Eyeliner, and Perversion mascara, YSL Blur Primer, It Cosmetics Celebration Foundation SPF 50+, DIY Blush/Highlight/Bronzer, Purminerals Soul Mattes, DuWop Crush3, Becca Champagne Pop, La Girl Pro Conceal, Smashbox Pimer Water, and Billion Dollar Brows Universal Pencil. 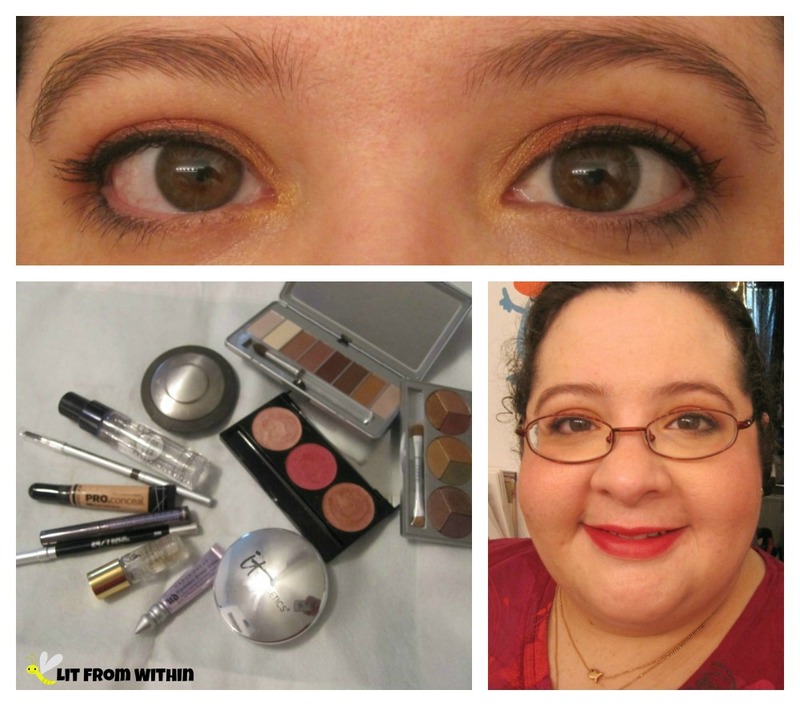 What I used: Youngblood Cobalt Mascara, Glamour Eyes Eyeshadow Quad, and Crushed Mineral Blush in Tulip, It Cosmetics Celebration Foundation SPF 50+, UD Original eyeshadow primer, Laura Geller icare Waterproof eyeliner in Aquamarine, Mally Lip Lacquer in Mulberry, and Billion Dollar Brows Universal Brow Pencil. What I used: Forlan BB Cream, Laura Geller Liquid Baked Radiance Foundation (Light), UD eyeshadow primer and Perversion mascara, Smashbox Flash eyeshadow palette, Avon unmarked purple cream shadow, Makeup Geek Enchanted Pigment, Colour Pop gel liner in Polar, Almay cream blush (Berry), It Cosmetics Bye Bye Pores Pressed Translucent powder, Smashbox Primer Water, Burts Bees Lipstick in Lily Lake, and Billion Dollar Brows Brow Powder in Taupe. And because there haven't been ENOUGH pictures in this post, there's nailart, too! 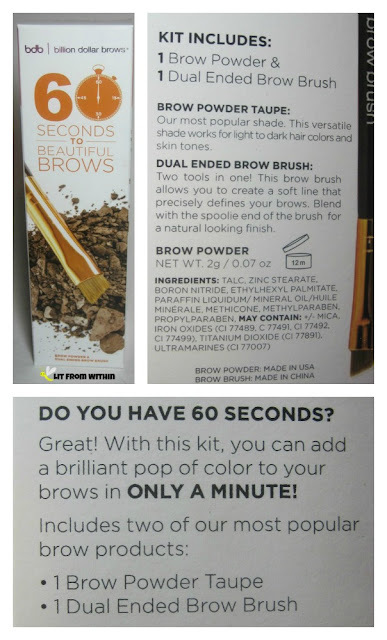 A little homage to the 60 second brow. 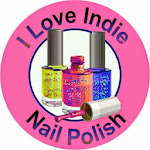 The BDB 60-second homage nailart! The base is a gradient starting with LeChat Orange Blossom and ending with OPI Espresso Your Style. The logo is stamped and painted with Finger Paints Black Expressionism and stamping plate SH07. What's your go-to product for brows?